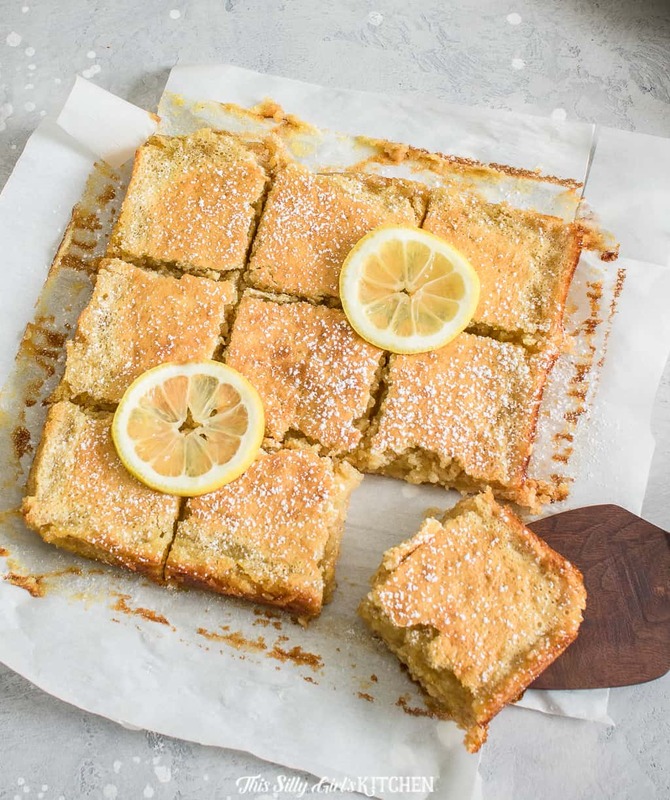 Gooey lemon bars are bursting with bright citrusy flavors, perfect for summer. 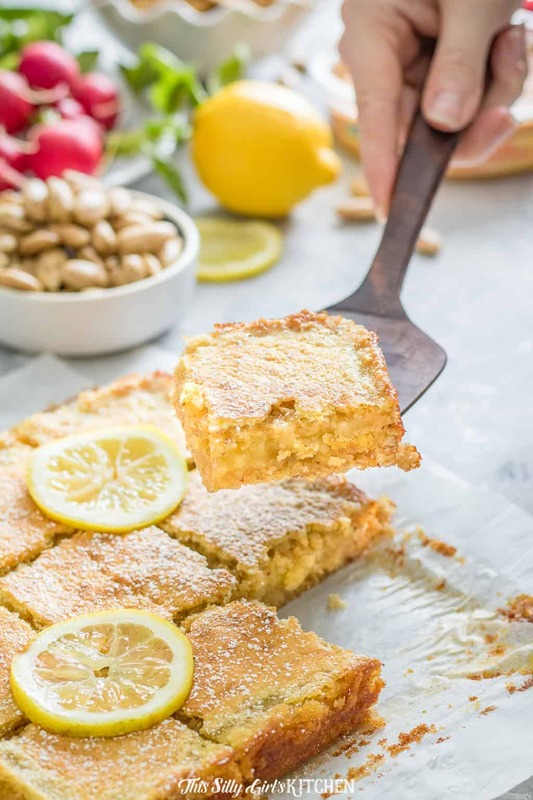 With a crunchy almond and oatmeal crust, these gooey lemon bars are a fun twist on the classic. 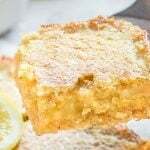 Are you a lemon bar lover? 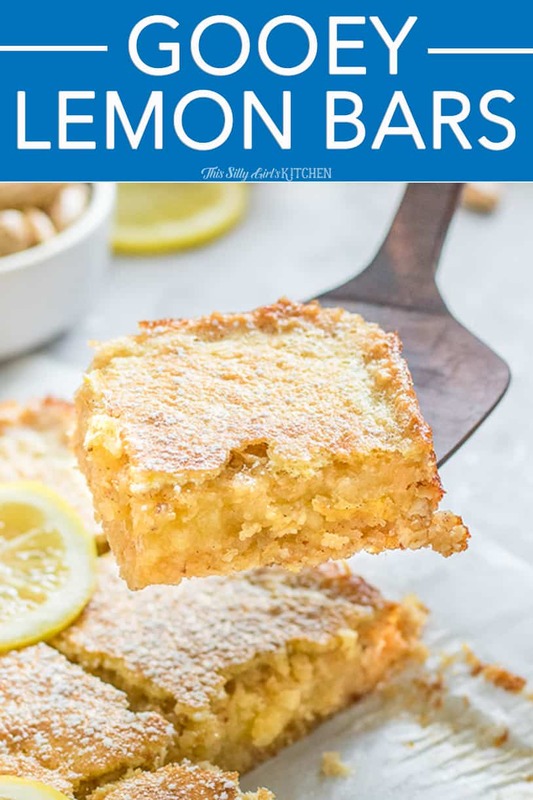 Normally lemon bars are made with a cookie crust, but today’s recipe uses oats and cracks for a fun twist! 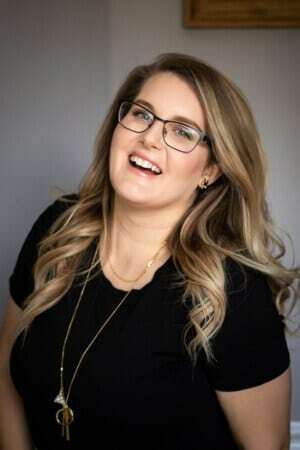 This post was sponsored by Walmart as part of an Influencer Activation for Influence Central and all opinions expressed in my post are my own. You heard that right – crackers! 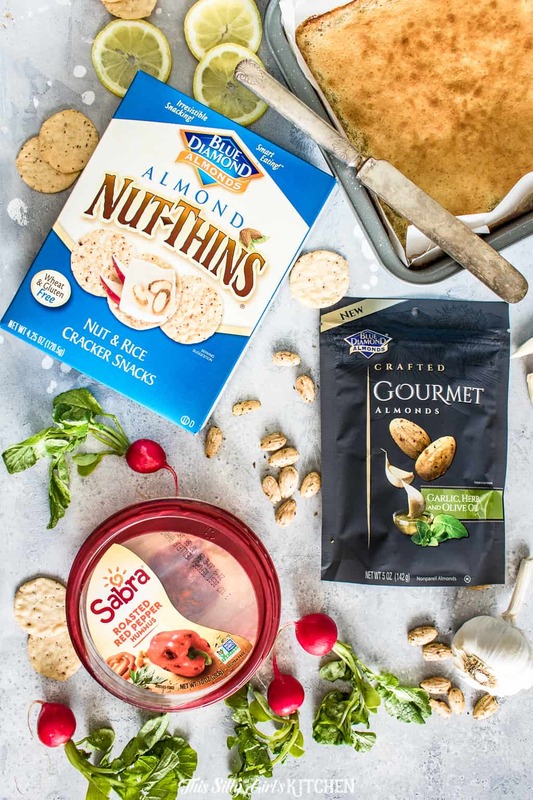 Blue Diamond® Nut-Thins Original to be exact, made with nuts and rice, giving them a crispy, crunchy texture. Did I mention they are also wheat and gluten-free? Score! I picked up my Blue Diamond Nut-Thins at Walmart this past weekend along with some other goodies. We were having some friends over and wanted to make a little snacking station before we had our main course. The items were easy to find at Walmart while doing my weekly shopping trip. Along with the gooey lemon bars, I wanted some savory nibbles as well. I found these Blue Diamond Gourmet Almonds in Garlic, Herb, and Olive Oil flavor. They are perfect for snacking on their own – they are SO flavorful. Plus, everyone just loves hummus, right? 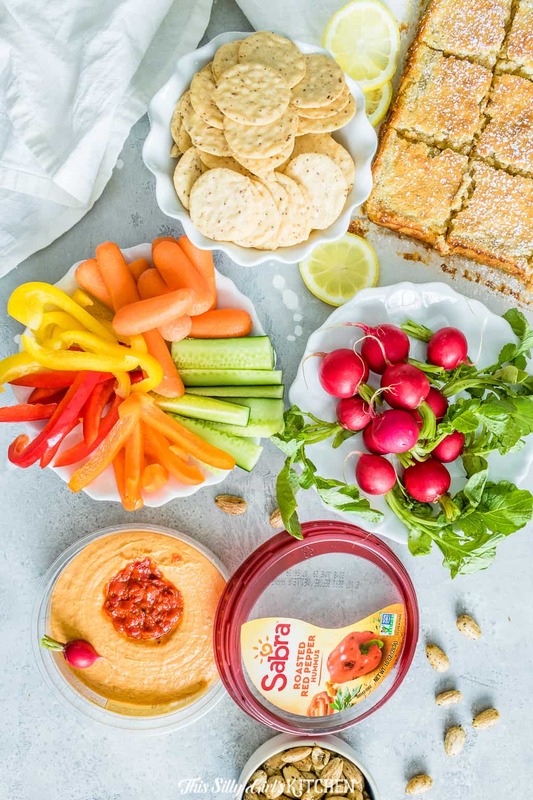 So I picked up my go-to Sabra hummus in Roasted Red Pepper, you just can’t go wrong with this crowd pleaser. I love how versatile hummus is, its perfect for summer snacking at a picnic or by the pool, but can also be eaten with veggies, or proteins for a full meal. To serve with the hummus I set out the Nut-Thins and some veggies for dipping. 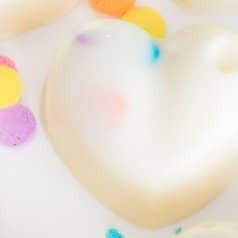 Everything went over great, especially those almonds, wow!! They are made with only high-quality nonpareil almonds and can be paired with countless foods or just on their own. I can see the Blue Diamond Gourmet Almonds being made into an epic cheeseball or chopped into a salad. 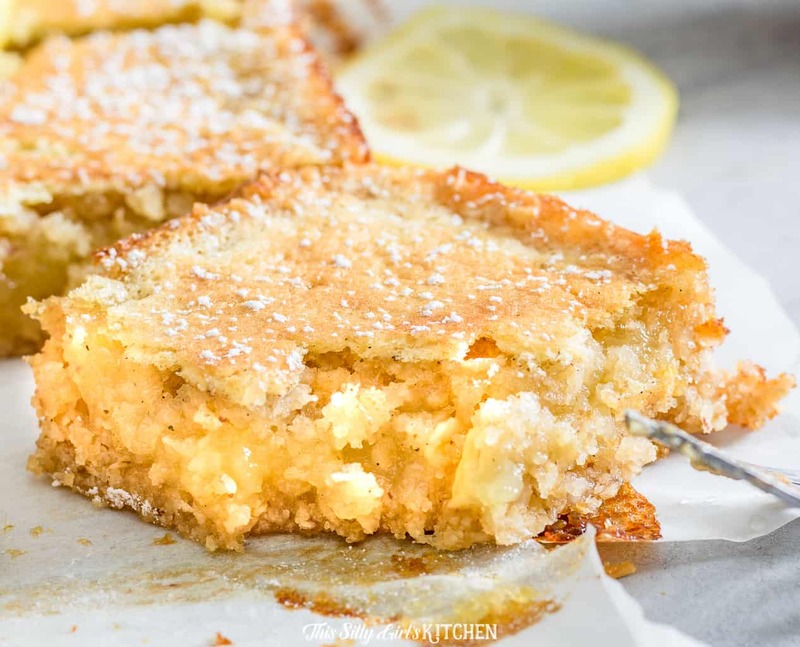 The gooey lemon bars were a hit and people really liked the crispy texture of the crust. I actually got the recipe from Blue Diamond, shhh! Are you ready to upgrade your summer? Visit the Upgrade Your Summer website to enter the Backyard Makeover promotion! Don’t forget to enter the Upgrade Your Summer giveaway from Walmart! Good luck. Preheat oven to 350 degrees.Place nut-thins in a food processor, process until crumbs form. 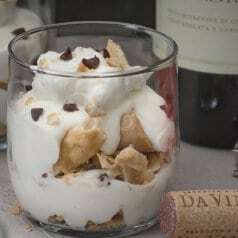 Add remaining ingredients and mix until combined. Press crust into a lined 8x8 baking dish. Bake for 20 minutes, until lightly brown and firm. 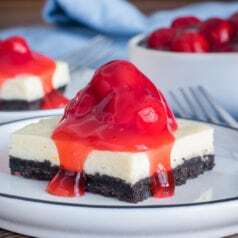 While the crust is cooking, make the filling by mixing all the ingredients together with a hand-mixer. Pour over the crust, bake for 25 minutes until set. Let cool completely.